I can't believe this thing is going up. I think it is going to be condos. Think where the YWCA is. Down that street. Not Dunbar, which is the road that goes behind the high school. Yes, between church and augusta. 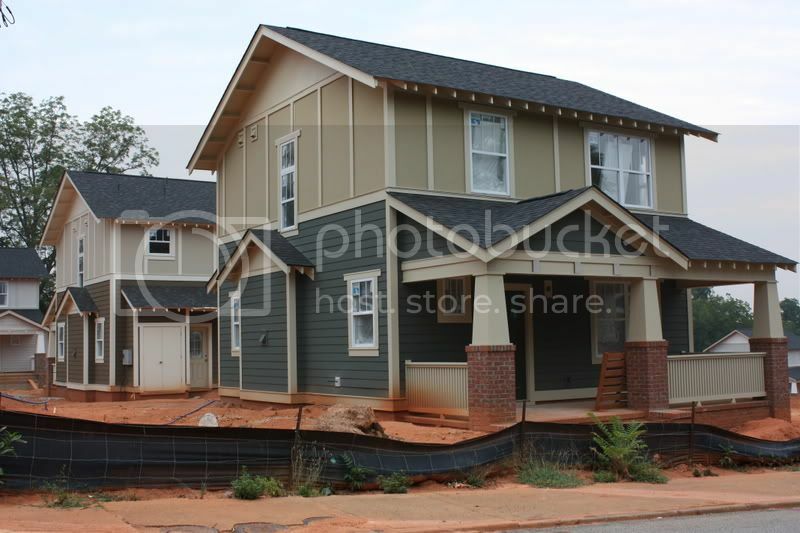 I believe this was approved by the planing commission for lot based subdivision of single family homes. I know the general area, but I have no idea what I'm looking at here. How could this go under the radar (OUR radar that is) until construction commenced? Nonetheless, it's great for this neighborhood and area AND the West End since it is close. Anyone know anymore about this place? 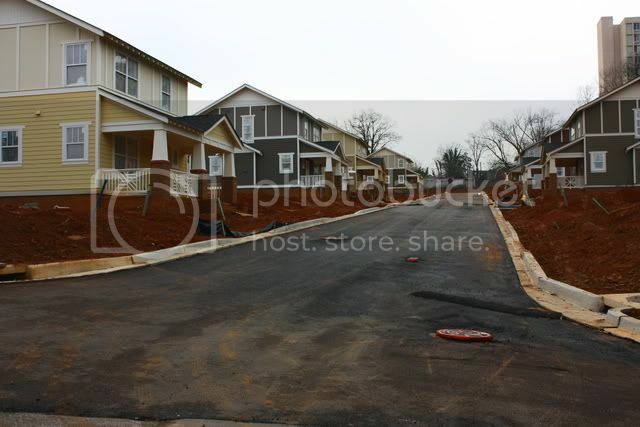 I've rode down the street a few times and they are starting to build. They've got the footers and brick laid for a couple houses. They've also got a couple of houses on the street with the big orange D on them. Drove by this development this weekend. This is excellent infill in an area of West End that needs it. Anyone have any more info? Website? Price range? Name of the development? etc? Yes, Quinn and Saterfield did the houses and townhomes of pendleton west. They are for Homes of Hope, but will also be available for the public to buy. I guess this is trying to jump start a revitalization in the section between church, augusta, and university. Also, of note is that Neal Prince is the architectural firm on this project. Construction on these is moving along nicely. What a change these are bringing to this area of the city. Woa! I sure hope this spurs some major revitalization for this area. 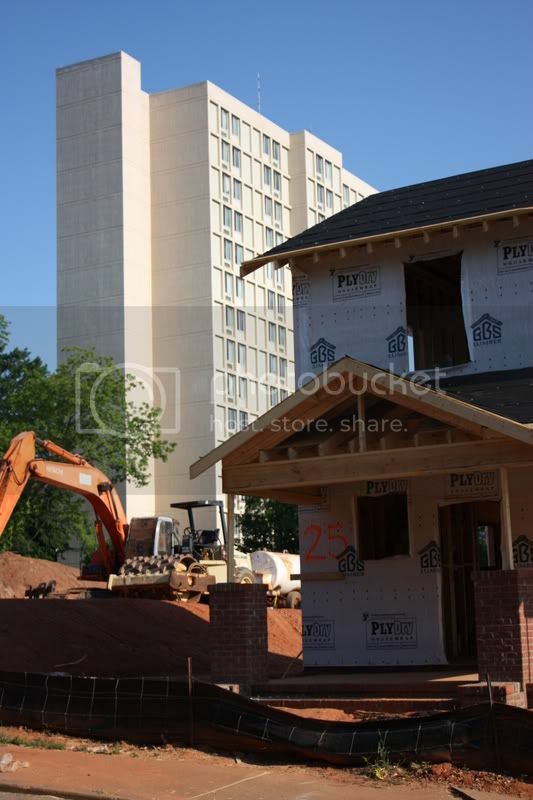 Greenville could really use a great urban residential area. The way that this area ties in with The West End, County Square, Church Street, etc makes it seem like a good candidate. I rode up this street yesterday and about 7 of the rundown houses had been marked with orange D's and all the people that used to sit around drinking out of brown bags and playing cards/dominos all day are gone. The block was a ghost town. The real problem was after dark when there would be so many thugs in the street you could barely get by them in a car. I was wondering how they were going to get those houses sold with all the activity down the street. Now I know, kick em out and tear down the houses. Any idea where they send all the people they kick out? 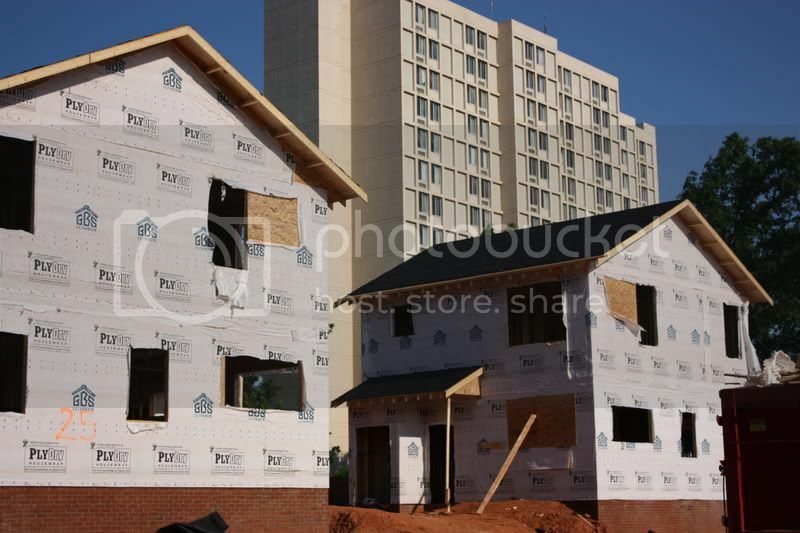 Are these homes across the street from the new construction of homes behind the Scott Towers building? How much detail do y'all know on these? The last time I rode through, I thought it looked like they could very well double the number of homes they've built. Are there plans to, or will there just be some rather large gaps intermingled with the homes?